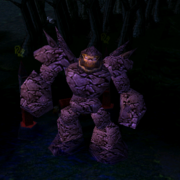 There is amazing bug in DotA by using it you can get selected three heroes in random, Axe, Geomancer & Bane Elemental. This is a great news for fans who love these heroes, now you can get those 3 heroes by doing random just by performing few steps. Getting random hero gives you extra 200 gold which really matters in starting of the game. Don't miss to try out this cool stuff or it gets fixed later by IceFrog. Follow these simple steps to perform this bug. • Be a Host Or Co-ordinate with host. • We already know that the countdown timer of creeps spawn starts from 2 minutes after the game mode selection. • Type "-random" when the timer reaches 1 minute 47 seconds. • Ask the host to type "-ah" command immediately at 1 minute and 42 seconds or type it yourself when you are host. • You will get Geomancer. • "-random str" command you give you, Axe - Mogul Khan. • "-random agi" will give you Bane Elemental. Don't be too late to type Anti-hack command because there is time limit for it. If any other players picks these heroes, this won't work. This post is updated as of v6.72c - you may get other heroes in older maps. can make garena exp hack on 1.24 pacth ma ? haiya, long time also have adi lo!! can any one tell me what is -ha ?? There is kinda like the same bug like getting Nevermore ... I sometimes do get Nevermore while in -ah timing, it kinda takes very sharp timing. But u know, axe is a hero created 4 noobs rly, I Just need a bug like that 4 MIRANa and Im the dota Lord (IMBA-MIRANA). Its something about the way the random number generator works in warcraft i think. I once tried generating a random number and printing it to chat upon map initialization (offline). without fail, its always the same number. but when its online with multiple players it seems to work differently. overall, nice discovery. if type -ha for pudge will how?? if type -aa for mirana will how?? MGA NOOBS BA KAYO? BAKIT LKAS NIO MAG SPAM D2 SA THREAD?? How about -random str ? Axe also randommed ? I want to know how to random nevermore! tell me plz! How to random mortred? xd i wanna go jungling with my mortred and rampage at lvl 16! nice Guys....:)...Keep the good work! cool!! good news for me.. (my fave hero is n'aix) keep this bug icefrog!!! 1 minute and 47 sec? the -ah command dosen't work then.... wrong type or...? When you use the STR or AGI you can't have 200+ gold plus...so this is stupid and isn't working. 1st the -ah works at 1.47 and 2nd when u use random agi or str u have 1oo bonus gold instead of 200....so it's not stupid and IS working. rofl man ! ! ! LoL.. Can get SB with -random at 1:46 -ah 1:43.. try it..
LOL retard u get RING OF HEALTH ON NAIX? HEHE I FOUND SOMETHING NEW IN 6.73C, HOW TO RANDOM MIRANA, HUSKAR, BALANAR, WEAVER, CHEN. WANT TO KNOW?..